China has grown to become an economic powerhouse and engine of global demand. However, China’s projected GDP growth rates are now anticipated to remain below 7% per annum over the next five years. 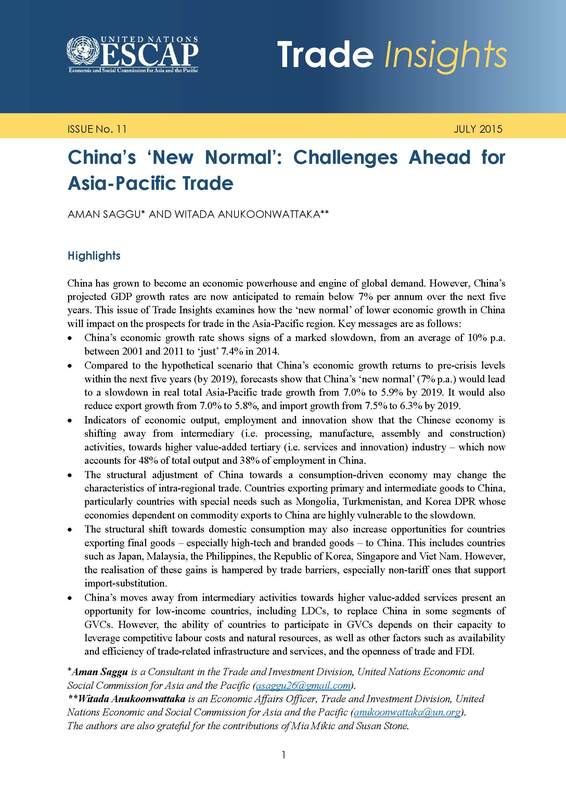 This issue of Trade Insights examines how the ‘new normal’ of lower economic growth in China will impact on the prospects for trade in the Asia-Pacific region. Compared to the hypothetical scenario that China’s economic growth returns to pre-crisis levels within the next five years (by 2019), forecasts show that China’s ‘new normal’ (7% p.a.) would lead to a slowdown in real total Asia-Pacific trade growth from 7.0% to 5.9% by 2019.